PANORAMA ROOF!, MULTI-MEDIA PACKAGE!, 18 Twin 5-Spoke Alloy Wheels, Auto-Dimming Mirrors, Blind Spot Assist, Garage Door Opener, harman/kardon®® Logic 7®® Audio System, Heated Front Seats, KEYLESS GO®, Premium Package, SIRIUSXM Satellite Radio. CARFAX One-Owner. Clean CARFAX. 2016 Mercedes-Benz GLA GLA 250 4MATIC®® 4D Sport Utility 4MATIC®® Cirrus White 7-Speed Automatic 2.0L I4 DI Turbocharged 24/32 City/Highway MPGMercedes-Benz Certified Pre-Owned Details:* Transferable Warranty* 165 Point Inspection* Includes Trip Interruption Reimbursement and 7 days/500 miles Exchange Privilege* Roadside Assistance* Warranty Deductible: $0* Limited Warranty: 12 Month/Unlimited Mile beginning after new car warranty expires or from certified purchase date* Vehicle HistoryAt Rallye Motors, we only select the finest Pre-Owned vehicles for our inventory. From Sedans and Coupes to Convertibles, AMG®s and SUVs, we're confident you'll find the perfect Pre-Owned Mercedes-Benz with us. Our Pre-Owned Department and Finance Managers are here to assist you with financing, so the entire buying process is made seamless from start to finish. Plus, you can count on our team to offer competitive pricing based on market trends. 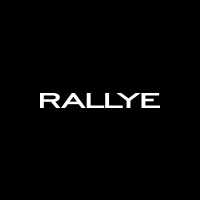 At Rallye, it costs no more to go first class.PANORAMA ROOF!, MULTI-MEDIA PACKAGE!, 18 Twin 5-Spoke Alloy Wheels, Auto-Dimming Mirrors, Blind Spot Assist, Garage Door Opener, harman/kardon®® Logic 7®® Audio System, Heated Front Seats, KEYLESS GO®, Premium Package, SIRIUSXM Satellite Radio. CARFAX One-Owner. Clean CARFAX. 2016 Mercedes-Benz GLA GLA 250 4MATIC®® 4D Sport Utility 4MATIC®® Cirrus White 7-Speed Automatic 2.0L I4 DI Turbocharged 24/32 City/Highway MPGMercedes-Benz Certified Pre-Owned Details:* Transferable Warranty* 165 Point Inspection* Includes Trip Interruption Reimbursement and 7 days/500 miles Exchange Privilege* Roadside Assistance* Warranty Deductible: $0* Limited Warranty: 12 Month/Unlimited Mile beginning after new car warranty expires or from certified purchase date* Vehicle HistoryAt Rallye Motors, we only select the finest Pre-Owned vehicles for our inventory. From Sedans and Coupes to Convertibles, AMG®s and SUVs, we're confident you'll find the perfect Pre-Owned Mercedes-Benz with us. Our Pre-Owned Department and Finance Managers are here to assist you with financing, so the entire buying process is made seamless from start to finish. Plus, you can count on our team to offer competitive pricing based on market trends. At Rallye, it costs no more to go first class. PANORAMA ROOF!, *NAVIGATION!, 18 5-Spoke Wheels, Ambient Lighting, AMG® Illuminated Door Sill Panels, Blind Spot Assist, Burmester Premium Sound, COMAND® Navigation & Voice Control, COMAND® Single CD/DVD, Electronic Trunk Closer, Entrance Lamps in Doors, HANDS-FREE Comfort Package, Hands-Free Trunk Access, Heated Front Seats, KEYLESS GO®, Navigation Map Updates Included for 3 Years, Parking Package, PARKTRONIC w/Advanced Parking Assist, Power Folding Mirrors, Premium 2 Package, SiriusXM Satellite Radio, SiriusXM Traffic and Weather Services, Sport Suspension, Surround View Camera, Surround View Package, Touchpad. CARFAX One-Owner. 2017 Mercedes-Benz C-Class C 300 4MATIC®® 2D Coupe 4MATIC®® Lunar Blue Metallic 7-Speed Automatic 2.0L I4 Turbocharged 23/29 City/Highway MPGAwards:* 2017 IIHS Top Safety PickMercedes-Benz Certified Pre-Owned Details:* Roadside Assistance* Includes Trip Interruption Reimbursement and 7 days/500 miles Exchange Privilege* Vehicle History* Limited Warranty: 12 Month/Unlimited Mile beginning after new car warranty expires or from certified purchase date* 165 Point Inspection* Transferable Warranty* Warranty Deductible: $0At Rallye Motors, we only select the finest Pre-Owned vehicles for our inventory. From Sedans and Coupes to Convertibles, AMG®s and SUVs, we're confident you'll find the perfect Pre-Owned Mercedes-Benz with us. Our Pre-Owned Department and Finance Managers are here to assist you with financing, so the entire buying process is made seamless from start to finish. Plus, you can count on our team to offer competitive pricing based on market trends. At Rallye, it costs no more to go first class.PANORAMA ROOF!, *NAVIGATION!, 18 5-Spoke Wheels, Ambient Lighting, AMG® Illuminated Door Sill Panels, Blind Spot Assist, Burmester Premium Sound, COMAND® Navigation & Voice Control, COMAND® Single CD/DVD, Electronic Trunk Closer, Entrance Lamps in Doors, HANDS-FREE Comfort Package, Hands-Free Trunk Access, Heated Front Seats, KEYLESS GO®, Navigation Map Updates Included for 3 Years, Parking Package, PARKTRONIC w/Advanced Parking Assist, Power Folding Mirrors, Premium 2 Package, SiriusXM Satellite Radio, SiriusXM Traffic and Weather Services, Sport Suspension, Surround View Camera, Surround View Package, Touchpad. CARFAX One-Owner. 2017 Mercedes-Benz C-Class C 300 4MATIC®® 2D Coupe 4MATIC®® Lunar Blue Metallic 7-Speed Automatic 2.0L I4 Turbocharged 23/29 City/Highway MPGAwards:* 2017 IIHS Top Safety PickMercedes-Benz Certified Pre-Owned Details:* Roadside Assistance* Includes Trip Interruption Reimbursement and 7 days/500 miles Exchange Privilege* Vehicle History* Limited Warranty: 12 Month/Unlimited Mile beginning after new car warranty expires or from certified purchase date* 165 Point Inspection* Transferable Warranty* Warranty Deductible: $0At Rallye Motors, we only select the finest Pre-Owned vehicles for our inventory. From Sedans and Coupes to Convertibles, AMG®s and SUVs, we're confident you'll find the perfect Pre-Owned Mercedes-Benz with us. Our Pre-Owned Department and Finance Managers are here to assist you with financing, so the entire buying process is made seamless from start to finish. Plus, you can count on our team to offer competitive pricing based on market trends. At Rallye, it costs no more to go first class. Recent Arrival! **CARFAX ONE OWNER**, Adaptive Highbeam Assist, Aluminum Pedals w/Rubber Studs, AMG® Floormats, Black w/Red Trim, AMG® Sport Package, AMG® Sport Seats, Black Exterior Mirrors, Black Lamella Grille w/Chrome Highlights, Blind Spot Assist, COMAND®® System, Corner-Illuminating Lamps, Front Spoiler Wing In High-Gloss Black, Full LED Headlamps, harman/kardon®® Logic 7®® Surround Sound System, KEYLESS GO®, Lane Keeping Assist, Mirror Package, Navigation System, Night Package, Perforated Brake Discs, Power Folding Mirrors, Power moonroof: Panorama, Power Rear-Window Shade, Premium 2 Package, Rear Wing In High-Gloss Black, Rear-View Camera, Silver Shift Paddles, SIRIUSXM Satellite Radio, Wheels: Black 18 AMG® Twin 5-Spoke. CARFAX One-Owner. 2016 Mercedes-Benz E-Class E 400 4MATIC®® 2D Coupe 4MATIC®® Mars Red 7-Speed Automatic 3.0L V6 DOHC Odometer is 17393 miles below market average! 20/28 City/Highway MPGAwards:* 2016 IIHS Top Safety Pick+Mercedes-Benz Certified Pre-Owned Details:* Transferable Warranty* Vehicle History* 165 Point Inspection* Roadside Assistance* Includes Trip Interruption Reimbursement and 7 days/500 miles Exchange Privilege* Limited Warranty: 12 Month/Unlimited Mile beginning after new car warranty expires or from certified purchase date* Warranty Deductible: $0At Rallye Motors, we only select the finest Pre-Owned vehicles for our inventory. From Sedans and Coupes to Convertibles, AMG®s and SUVs, we're confident you'll find the perfect Pre-Owned Mercedes-Benz with us. Our Pre-Owned Department and Finance Managers are here to assist you with financing, so the entire buying process is made seamless from start to finish. Plus, you can count on our team to offer competitive pricing based on market trends. At Rallye, it costs no more to go first class.Recent Arrival! **CARFAX ONE OWNER**, Adaptive Highbeam Assist, Aluminum Pedals w/Rubber Studs, AMG® Floormats, Black w/Red Trim, AMG® Sport Package, AMG® Sport Seats, Black Exterior Mirrors, Black Lamella Grille w/Chrome Highlights, Blind Spot Assist, COMAND®® System, Corner-Illuminating Lamps, Front Spoiler Wing In High-Gloss Black, Full LED Headlamps, harman/kardon®® Logic 7®® Surround Sound System, KEYLESS GO®, Lane Keeping Assist, Mirror Package, Navigation System, Night Package, Perforated Brake Discs, Power Folding Mirrors, Power moonroof: Panorama, Power Rear-Window Shade, Premium 2 Package, Rear Wing In High-Gloss Black, Rear-View Camera, Silver Shift Paddles, SIRIUSXM Satellite Radio, Wheels: Black 18 AMG® Twin 5-Spoke. CARFAX One-Owner. 2016 Mercedes-Benz E-Class E 400 4MATIC®® 2D Coupe 4MATIC®® Mars Red 7-Speed Automatic 3.0L V6 DOHC Odometer is 17393 miles below market average! 20/28 City/Highway MPGAwards:* 2016 IIHS Top Safety Pick+Mercedes-Benz Certified Pre-Owned Details:* Transferable Warranty* Vehicle History* 165 Point Inspection* Roadside Assistance* Includes Trip Interruption Reimbursement and 7 days/500 miles Exchange Privilege* Limited Warranty: 12 Month/Unlimited Mile beginning after new car warranty expires or from certified purchase date* Warranty Deductible: $0At Rallye Motors, we only select the finest Pre-Owned vehicles for our inventory. From Sedans and Coupes to Convertibles, AMG®s and SUVs, we're confident you'll find the perfect Pre-Owned Mercedes-Benz with us. Our Pre-Owned Department and Finance Managers are here to assist you with financing, so the entire buying process is made seamless from start to finish. Plus, you can count on our team to offer competitive pricing based on market trends. At Rallye, it costs no more to go first class. Recent Arrival! **CARFAX ONE OWNER**, 19 x 8.5J Twin 5-Spoke Wheels, Active Blind Spot Assist, Active Lane Keeping Assist, Adaptive Highbeam Assist, Air Balance Package, Apple CarPlay, BAS® PLUS w/Cross-Traffic Assist, DISTRONIC PLUS® w/Steering Assist, DISTRONIC PLUS®® w/Pre-Safe Brake, Driver Assistance Package, Exterior Parking Camera Rear, Heated & Cooled Cup Holders, Heated Steering Wheel, Illuminated Running Boards, KEYLESS GO®, LED Dynamic Headlamps, Lighting Package, MAGIC VISION CONTROL, Multi-Color Interior Ambient Lighting, Navigation Map Updates Included for 3-years, Navigation System, Parking Assist Package, Power EASY ENTRY®, Premium Package, PRESAFE® PLUS, Radio: COMAND®® System w/Hard Drive Navigation, Rear Manual Sunshades, SiriusXM Radio, Smartphone Integration, Speed Limit Assist. CARFAX One-Owner. Clean CARFAX. 2017 Mercedes-Benz GLS GLS 450 4MATIC®® 4D Sport Utility 4MATIC®® Iridium Silver Metallic 9-Speed Automatic V6Mercedes-Benz Certified Pre-Owned Details:* Limited Warranty: 12 Month/Unlimited Mile beginning after new car warranty expires or from certified purchase date* Warranty Deductible: $0* Transferable Warranty* Roadside Assistance* Includes Trip Interruption Reimbursement and 7 days/500 miles Exchange Privilege* 165 Point Inspection* Vehicle HistoryAt Rallye Motors, we only select the finest Pre-Owned vehicles for our inventory. From Sedans and Coupes to Convertibles, AMG®s and SUVs, we're confident you'll find the perfect Pre-Owned Mercedes-Benz with us. Our Pre-Owned Department and Finance Managers are here to assist you with financing, so the entire buying process is made seamless from start to finish. Plus, you can count on our team to offer competitive pricing based on market trends. At Rallye, it costs no more to go first class.Recent Arrival! **CARFAX ONE OWNER**, 19 x 8.5J Twin 5-Spoke Wheels, Active Blind Spot Assist, Active Lane Keeping Assist, Adaptive Highbeam Assist, Air Balance Package, Apple CarPlay, BAS® PLUS w/Cross-Traffic Assist, DISTRONIC PLUS® w/Steering Assist, DISTRONIC PLUS®® w/Pre-Safe Brake, Driver Assistance Package, Exterior Parking Camera Rear, Heated & Cooled Cup Holders, Heated Steering Wheel, Illuminated Running Boards, KEYLESS GO®, LED Dynamic Headlamps, Lighting Package, MAGIC VISION CONTROL, Multi-Color Interior Ambient Lighting, Navigation Map Updates Included for 3-years, Navigation System, Parking Assist Package, Power EASY ENTRY®, Premium Package, PRESAFE® PLUS, Radio: COMAND®® System w/Hard Drive Navigation, Rear Manual Sunshades, SiriusXM Radio, Smartphone Integration, Speed Limit Assist. CARFAX One-Owner. Clean CARFAX. 2017 Mercedes-Benz GLS GLS 450 4MATIC®® 4D Sport Utility 4MATIC®® Iridium Silver Metallic 9-Speed Automatic V6Mercedes-Benz Certified Pre-Owned Details:* Limited Warranty: 12 Month/Unlimited Mile beginning after new car warranty expires or from certified purchase date* Warranty Deductible: $0* Transferable Warranty* Roadside Assistance* Includes Trip Interruption Reimbursement and 7 days/500 miles Exchange Privilege* 165 Point Inspection* Vehicle HistoryAt Rallye Motors, we only select the finest Pre-Owned vehicles for our inventory. From Sedans and Coupes to Convertibles, AMG®s and SUVs, we're confident you'll find the perfect Pre-Owned Mercedes-Benz with us. Our Pre-Owned Department and Finance Managers are here to assist you with financing, so the entire buying process is made seamless from start to finish. Plus, you can count on our team to offer competitive pricing based on market trends. At Rallye, it costs no more to go first class. AMG® SPORT PACKAGE!, *NAVIGATION!, 18 AMG® Twin 5-Spoke Alloy Wheels, Adaptive Highbeam Assist, AIRSCARF® - Ventilated Headrest, Black Ash Wood Trim, Black SoftTop, Blind Spot Assist, COMAND®® System, Corner-Illuminating Lamps, Full LED Headlamps, harman/kardon®® Logic 7®® Surround Sound System, Heated and Active Ventilated Front Seats, Illuminated Door Sills, Illuminated Star, KEYLESS GO®, Lane Keeping Assist, Mirror Package, Multicontour Front Seats, Power Folding Mirrors, Premium 2 Package, Rear Trunklid Spoiler, Rear-View Camera, SIRIUSXM Satellite Radio. 2016 Mercedes-Benz E-Class E 400 2D Convertible RWD Black 7-Speed Automatic 3.0L V6 DOHC Odometer is 2536 miles below market average! 20/29 City/Highway MPGAwards:* 2016 IIHS Top Safety Pick+Mercedes-Benz Certified Pre-Owned Details:* Limited Warranty: 12 Month/Unlimited Mile beginning after new car warranty expires or from certified purchase date* Warranty Deductible: $0* 165 Point Inspection* Vehicle History* Includes Trip Interruption Reimbursement and 7 days/500 miles Exchange Privilege* Roadside Assistance* Transferable WarrantyAt Rallye Motors, we only select the finest Pre-Owned vehicles for our inventory. From Sedans and Coupes to Convertibles, AMG®s and SUVs, we're confident you'll find the perfect Pre-Owned Mercedes-Benz with us. Our Pre-Owned Department and Finance Managers are here to assist you with financing, so the entire buying process is made seamless from start to finish. Plus, you can count on our team to offer competitive pricing based on market trends. At Rallye, it costs no more to go first class.AMG® SPORT PACKAGE!, *NAVIGATION!, 18 AMG® Twin 5-Spoke Alloy Wheels, Adaptive Highbeam Assist, AIRSCARF® - Ventilated Headrest, Black Ash Wood Trim, Black SoftTop, Blind Spot Assist, COMAND®® System, Corner-Illuminating Lamps, Full LED Headlamps, harman/kardon®® Logic 7®® Surround Sound System, Heated and Active Ventilated Front Seats, Illuminated Door Sills, Illuminated Star, KEYLESS GO®, Lane Keeping Assist, Mirror Package, Multicontour Front Seats, Power Folding Mirrors, Premium 2 Package, Rear Trunklid Spoiler, Rear-View Camera, SIRIUSXM Satellite Radio. 2016 Mercedes-Benz E-Class E 400 2D Convertible RWD Black 7-Speed Automatic 3.0L V6 DOHC Odometer is 2536 miles below market average! 20/29 City/Highway MPGAwards:* 2016 IIHS Top Safety Pick+Mercedes-Benz Certified Pre-Owned Details:* Limited Warranty: 12 Month/Unlimited Mile beginning after new car warranty expires or from certified purchase date* Warranty Deductible: $0* 165 Point Inspection* Vehicle History* Includes Trip Interruption Reimbursement and 7 days/500 miles Exchange Privilege* Roadside Assistance* Transferable WarrantyAt Rallye Motors, we only select the finest Pre-Owned vehicles for our inventory. From Sedans and Coupes to Convertibles, AMG®s and SUVs, we're confident you'll find the perfect Pre-Owned Mercedes-Benz with us. Our Pre-Owned Department and Finance Managers are here to assist you with financing, so the entire buying process is made seamless from start to finish. Plus, you can count on our team to offer competitive pricing based on market trends. At Rallye, it costs no more to go first class. PANORAMA ROOF!, MULTI-MEDIA PACKAGE!, 18 AMG® 5-Spoke Alloy Wheels, Adaptive Highbeam Assist, Burmester Premium Sound, Dynamic LED Headlamps, LED Headlamps, Lighting Package, PARKTRONIC w/Active Parking Assist, Premium 2 Package, Rear Side Airbags (Discontinued), Rear-View Camera, Red Seat Belts. CARFAX One-Owner. Clean CARFAX. 2016 Mercedes-Benz C-Class C 450 AMG® 4MATIC®® 4D Sedan 4MATIC®® Black 7G-TRONIC PLUS 7-Speed Automatic 3.0L V6 BiTurbo 21/29 City/Highway MPGAwards:* 2016 IIHS Top Safety Pick+Mercedes-Benz Certified Pre-Owned Details:* Warranty Deductible: $0* Limited Warranty: 12 Month/Unlimited Mile beginning after new car warranty expires or from certified purchase date* 165 Point Inspection* Includes Trip Interruption Reimbursement and 7 days/500 miles Exchange Privilege* Vehicle History* Roadside Assistance* Transferable WarrantyAt Rallye Motors, we only select the finest Pre-Owned vehicles for our inventory. From Sedans and Coupes to Convertibles, AMG®s and SUVs, we're confident you'll find the perfect Pre-Owned Mercedes-Benz with us. Our Pre-Owned Department and Finance Managers are here to assist you with financing, so the entire buying process is made seamless from start to finish. Plus, you can count on our team to offer competitive pricing based on market trends. At Rallye, it costs no more to go first class.PANORAMA ROOF!, MULTI-MEDIA PACKAGE!, 18 AMG® 5-Spoke Alloy Wheels, Adaptive Highbeam Assist, Burmester Premium Sound, Dynamic LED Headlamps, LED Headlamps, Lighting Package, PARKTRONIC w/Active Parking Assist, Premium 2 Package, Rear Side Airbags (Discontinued), Rear-View Camera, Red Seat Belts. CARFAX One-Owner. Clean CARFAX. 2016 Mercedes-Benz C-Class C 450 AMG® 4MATIC®® 4D Sedan 4MATIC®® Black 7G-TRONIC PLUS 7-Speed Automatic 3.0L V6 BiTurbo 21/29 City/Highway MPGAwards:* 2016 IIHS Top Safety Pick+Mercedes-Benz Certified Pre-Owned Details:* Warranty Deductible: $0* Limited Warranty: 12 Month/Unlimited Mile beginning after new car warranty expires or from certified purchase date* 165 Point Inspection* Includes Trip Interruption Reimbursement and 7 days/500 miles Exchange Privilege* Vehicle History* Roadside Assistance* Transferable WarrantyAt Rallye Motors, we only select the finest Pre-Owned vehicles for our inventory. From Sedans and Coupes to Convertibles, AMG®s and SUVs, we're confident you'll find the perfect Pre-Owned Mercedes-Benz with us. Our Pre-Owned Department and Finance Managers are here to assist you with financing, so the entire buying process is made seamless from start to finish. Plus, you can count on our team to offer competitive pricing based on market trends. At Rallye, it costs no more to go first class. AMG® SPORT PACKAGE!, PANORAMA ROOF!, 19 AMG® Twin 5-Spoke Wheels, Active Blind Spot Assist, Active Lane Keeping Assist, BAS® PLUS w/Cross Traffic Assist, CMS Lane, CMS Rear, COMAND®® System w/AM/FM/GPS Navigation, Control Code Surround View Camera, DISTRONIC PLUS® w/Steering Assist, DISTRONIC PLUS®®, Driver Assistance Package, Front Heated Armrests, Front Heated Seats - PLUS, Hands-Free Access, Heated & Active Ventilated Front Seats, Heated & Active Ventilated Rear Seats, Heated Steering Wheel, KEYLESS GO Comfort Package, KEYLESS GO®, Memory Rear Seats, Multicontour Seats w/Massage Feature, PARKTRONIC w/Active Parking Assist, Power Rear Seats, Power Rear Window Sunblinds, Premium Package, PRESAFE® Brake, PRESAFE® PLUS, Rear Heated Armrests, Rear Heated Seats - PLUS, Rear Spoiler, Surround View Camera, Traffic Sign Assist, Warmth & Comfort Package. CARFAX One-Owner. Clean CARFAX. 2017 Mercedes-Benz S-Class S 550 4MATIC®® 4D Sedan 4MATIC®® Black 9-Speed Automatic 4.7L V8 BiTurboMercedes-Benz Certified Pre-Owned Details:* Transferable Warranty* Roadside Assistance* Includes Trip Interruption Reimbursement and 7 days/500 miles Exchange Privilege* Warranty Deductible: $0* Vehicle History* 165 Point Inspection* Limited Warranty: 12 Month/Unlimited Mile beginning after new car warranty expires or from certified purchase dateAt Rallye Motors, we only select the finest Pre-Owned vehicles for our inventory. From Sedans and Coupes to Convertibles, AMG®s and SUVs, we're confident you'll find the perfect Pre-Owned Mercedes-Benz with us. Our Pre-Owned Department and Finance Managers are here to assist you with financing, so the entire buying process is made seamless from start to finish. Plus, you can count on our team to offer competitive pricing based on market trends. At Rallye, it costs no more to go first class.AMG® SPORT PACKAGE!, PANORAMA ROOF!, 19 AMG® Twin 5-Spoke Wheels, Active Blind Spot Assist, Active Lane Keeping Assist, BAS® PLUS w/Cross Traffic Assist, CMS Lane, CMS Rear, COMAND®® System w/AM/FM/GPS Navigation, Control Code Surround View Camera, DISTRONIC PLUS® w/Steering Assist, DISTRONIC PLUS®®, Driver Assistance Package, Front Heated Armrests, Front Heated Seats - PLUS, Hands-Free Access, Heated & Active Ventilated Front Seats, Heated & Active Ventilated Rear Seats, Heated Steering Wheel, KEYLESS GO Comfort Package, KEYLESS GO®, Memory Rear Seats, Multicontour Seats w/Massage Feature, PARKTRONIC w/Active Parking Assist, Power Rear Seats, Power Rear Window Sunblinds, Premium Package, PRESAFE® Brake, PRESAFE® PLUS, Rear Heated Armrests, Rear Heated Seats - PLUS, Rear Spoiler, Surround View Camera, Traffic Sign Assist, Warmth & Comfort Package. CARFAX One-Owner. Clean CARFAX. 2017 Mercedes-Benz S-Class S 550 4MATIC®® 4D Sedan 4MATIC®® Black 9-Speed Automatic 4.7L V8 BiTurboMercedes-Benz Certified Pre-Owned Details:* Transferable Warranty* Roadside Assistance* Includes Trip Interruption Reimbursement and 7 days/500 miles Exchange Privilege* Warranty Deductible: $0* Vehicle History* 165 Point Inspection* Limited Warranty: 12 Month/Unlimited Mile beginning after new car warranty expires or from certified purchase dateAt Rallye Motors, we only select the finest Pre-Owned vehicles for our inventory. From Sedans and Coupes to Convertibles, AMG®s and SUVs, we're confident you'll find the perfect Pre-Owned Mercedes-Benz with us. Our Pre-Owned Department and Finance Managers are here to assist you with financing, so the entire buying process is made seamless from start to finish. Plus, you can count on our team to offer competitive pricing based on market trends. At Rallye, it costs no more to go first class. AMG® SPORT PACKAGE!, PANORAMA ROOF!, *NAVIGATION!, 18 AMG® Twin 5-Spoke Wheels, Adaptive Highbeam Assist, Blind spot sensor: Blind Spot Assist warning, Brake assist, Control Code, Electronic Trunk Closer, Exterior Parking Camera Rear, Full-LED Headlamps w/Active Curve Illumination, Hands-Free Access, harman/kardon®® Speakers, Heated Steering Wheel, Illuminated Star, KEYLESS GO Package, Lighting Package, Rear Spoiler. CARFAX One-Owner. Clean CARFAX. 2016 Mercedes-Benz E-Class E 400 4MATIC®® 4D Sedan 4MATIC®® Polar White 7-Speed Automatic 3.0L V6 DI DOHC 20/28 City/Highway MPGAwards:* 2016 IIHS Top Safety Pick+Mercedes-Benz Certified Pre-Owned Details:* Transferable Warranty* Warranty Deductible: $0* 165 Point Inspection* Limited Warranty: 12 Month/Unlimited Mile beginning after new car warranty expires or from certified purchase date* Includes Trip Interruption Reimbursement and 7 days/500 miles Exchange Privilege* Roadside Assistance* Vehicle HistoryAt Rallye Motors, we only select the finest Pre-Owned vehicles for our inventory. From Sedans and Coupes to Convertibles, AMG®s and SUVs, we're confident you'll find the perfect Pre-Owned Mercedes-Benz with us. Our Pre-Owned Department and Finance Managers are here to assist you with financing, so the entire buying process is made seamless from start to finish. Plus, you can count on our team to offer competitive pricing based on market trends. At Rallye, it costs no more to go first class.AMG® SPORT PACKAGE!, PANORAMA ROOF!, *NAVIGATION!, 18 AMG® Twin 5-Spoke Wheels, Adaptive Highbeam Assist, Blind spot sensor: Blind Spot Assist warning, Brake assist, Control Code, Electronic Trunk Closer, Exterior Parking Camera Rear, Full-LED Headlamps w/Active Curve Illumination, Hands-Free Access, harman/kardon®® Speakers, Heated Steering Wheel, Illuminated Star, KEYLESS GO Package, Lighting Package, Rear Spoiler. CARFAX One-Owner. Clean CARFAX. 2016 Mercedes-Benz E-Class E 400 4MATIC®® 4D Sedan 4MATIC®® Polar White 7-Speed Automatic 3.0L V6 DI DOHC 20/28 City/Highway MPGAwards:* 2016 IIHS Top Safety Pick+Mercedes-Benz Certified Pre-Owned Details:* Transferable Warranty* Warranty Deductible: $0* 165 Point Inspection* Limited Warranty: 12 Month/Unlimited Mile beginning after new car warranty expires or from certified purchase date* Includes Trip Interruption Reimbursement and 7 days/500 miles Exchange Privilege* Roadside Assistance* Vehicle HistoryAt Rallye Motors, we only select the finest Pre-Owned vehicles for our inventory. From Sedans and Coupes to Convertibles, AMG®s and SUVs, we're confident you'll find the perfect Pre-Owned Mercedes-Benz with us. Our Pre-Owned Department and Finance Managers are here to assist you with financing, so the entire buying process is made seamless from start to finish. Plus, you can count on our team to offer competitive pricing based on market trends. At Rallye, it costs no more to go first class. *NAVIGATION!, 18 AMG® Twin 5-Spoke Alloy Wheels, Adaptive Highbeam Assist, AIRSCARF® - Ventilated Headrest, AMG® Bodystyling, Apple CarPlay, Black SoftTop, Blind Spot Assist, COMAND®® System, Corner-Illuminating Lamps, Full LED Headlamps, harman/kardon®® Logic 7®® Surround Sound System, Heated and Active Ventilated Front Seats, Illuminated Door Sills, Illuminated Star, KEYLESS GO®, Lane Keeping Assist, Mirror Package, Multicontour Front Seats, Power Folding Mirrors, Premium 2 Package, Rear-View Camera, SIRIUSXM Satellite Radio, Smartphone Integration (868), Sport Package 2, Sportline Package. CARFAX One-Owner. 2016 Mercedes-Benz E-Class E 400 2D Convertible RWD Black 7-Speed Automatic 3.0L V6 DOHC Odometer is 11499 miles below market average! 20/29 City/Highway MPGAwards:* 2016 IIHS Top Safety Pick+Mercedes-Benz Certified Pre-Owned Details:* Limited Warranty: 12 Month/Unlimited Mile beginning after new car warranty expires or from certified purchase date* Transferable Warranty* Vehicle History* Includes Trip Interruption Reimbursement and 7 days/500 miles Exchange Privilege* Warranty Deductible: $0* Roadside Assistance* 165 Point InspectionAt Rallye Motors, we only select the finest Pre-Owned vehicles for our inventory. From Sedans and Coupes to Convertibles, AMG®s and SUVs, we're confident you'll find the perfect Pre-Owned Mercedes-Benz with us. Our Pre-Owned Department and Finance Managers are here to assist you with financing, so the entire buying process is made seamless from start to finish. Plus, you can count on our team to offer competitive pricing based on market trends. At Rallye, it costs no more to go first class. *NAVIGATION!, 18 AMG® Twin 5-Spoke Alloy Wheels, Adaptive Highbeam Assist, AIRSCARF® - Ventilated Headrest, AMG® Bodystyling, Apple CarPlay, Black SoftTop, Blind Spot Assist, COMAND®® System, Corner-Illuminating Lamps, Full LED Headlamps, harman/kardon®® Logic 7®® Surround Sound System, Heated and Active Ventilated Front Seats, Illuminated Door Sills, Illuminated Star, KEYLESS GO®, Lane Keeping Assist, Mirror Package, Multicontour Front Seats, Power Folding Mirrors, Premium 2 Package, Rear-View Camera, SIRIUSXM Satellite Radio, Smartphone Integration (868), Sport Package 2, Sportline Package. CARFAX One-Owner. 2016 Mercedes-Benz E-Class E 400 2D Convertible RWD Black 7-Speed Automatic 3.0L V6 DOHC Odometer is 11499 miles below market average! 20/29 City/Highway MPGAwards:* 2016 IIHS Top Safety Pick+Mercedes-Benz Certified Pre-Owned Details:* Limited Warranty: 12 Month/Unlimited Mile beginning after new car warranty expires or from certified purchase date* Transferable Warranty* Vehicle History* Includes Trip Interruption Reimbursement and 7 days/500 miles Exchange Privilege* Warranty Deductible: $0* Roadside Assistance* 165 Point InspectionAt Rallye Motors, we only select the finest Pre-Owned vehicles for our inventory. From Sedans and Coupes to Convertibles, AMG®s and SUVs, we're confident you'll find the perfect Pre-Owned Mercedes-Benz with us. Our Pre-Owned Department and Finance Managers are here to assist you with financing, so the entire buying process is made seamless from start to finish. Plus, you can count on our team to offer competitive pricing based on market trends. At Rallye, it costs no more to go first class. PANORAMA ROOF!, MULTI-MEDIA PACKAGE!, AMG® DINAMICA Interior Package, AMG® Performance Steering Wheel in DINAMICA, AMG® RIDE CONTROL Sport Suspension, AMG® Exterior Carbon Fiber Package, Apple CarPlay, Blind Spot Assist, Carbon Fiber Mirror Covers, Deletion of Red Seatbelts to Black, harman/kardon®® Logic 7®® Digital Surround, Heated Front Seats, Illuminated Star, KEYLESS GO®, Premium Package, Rear-View Camera, SIRIUS Satellite Radio, Smartphone Integration, Wheels: 20 AMG® 10-Spoke Black Alloy. CARFAX One-Owner. Clean CARFAX. 2017 Mercedes-Benz GLA GLA 45 AMG® 4MATIC®® 4D Sport Utility 4MATIC®® Cirrus White 7-Speed Automatic 2.0L I4 DI Turbocharged 22/28 City/Highway MPGAwards:* JD Power Initial Quality Study (IQS)Mercedes-Benz Certified Pre-Owned Details:* Transferable Warranty* Includes Trip Interruption Reimbursement and 7 days/500 miles Exchange Privilege* Vehicle History* Roadside Assistance* Limited Warranty: 12 Month/Unlimited Mile beginning after new car warranty expires or from certified purchase date* Warranty Deductible: $0* 165 Point InspectionAt Rallye Motors, we only select the finest Pre-Owned vehicles for our inventory. From Sedans and Coupes to Convertibles, AMG®s and SUVs, we're confident you'll find the perfect Pre-Owned Mercedes-Benz with us. Our Pre-Owned Department and Finance Managers are here to assist you with financing, so the entire buying process is made seamless from start to finish. Plus, you can count on our team to offer competitive pricing based on market trends. At Rallye, it costs no more to go first class.PANORAMA ROOF!, MULTI-MEDIA PACKAGE!, AMG® DINAMICA Interior Package, AMG® Performance Steering Wheel in DINAMICA, AMG® RIDE CONTROL Sport Suspension, AMG® Exterior Carbon Fiber Package, Apple CarPlay, Blind Spot Assist, Carbon Fiber Mirror Covers, Deletion of Red Seatbelts to Black, harman/kardon®® Logic 7®® Digital Surround, Heated Front Seats, Illuminated Star, KEYLESS GO®, Premium Package, Rear-View Camera, SIRIUS Satellite Radio, Smartphone Integration, Wheels: 20 AMG® 10-Spoke Black Alloy. CARFAX One-Owner. Clean CARFAX. 2017 Mercedes-Benz GLA GLA 45 AMG® 4MATIC®® 4D Sport Utility 4MATIC®® Cirrus White 7-Speed Automatic 2.0L I4 DI Turbocharged 22/28 City/Highway MPGAwards:* JD Power Initial Quality Study (IQS)Mercedes-Benz Certified Pre-Owned Details:* Transferable Warranty* Includes Trip Interruption Reimbursement and 7 days/500 miles Exchange Privilege* Vehicle History* Roadside Assistance* Limited Warranty: 12 Month/Unlimited Mile beginning after new car warranty expires or from certified purchase date* Warranty Deductible: $0* 165 Point InspectionAt Rallye Motors, we only select the finest Pre-Owned vehicles for our inventory. From Sedans and Coupes to Convertibles, AMG®s and SUVs, we're confident you'll find the perfect Pre-Owned Mercedes-Benz with us. Our Pre-Owned Department and Finance Managers are here to assist you with financing, so the entire buying process is made seamless from start to finish. Plus, you can count on our team to offer competitive pricing based on market trends. At Rallye, it costs no more to go first class.